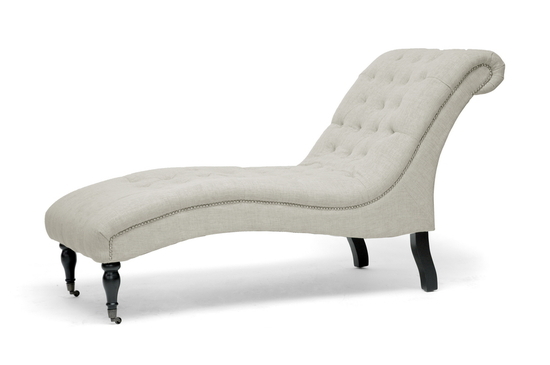 Victorian-inspired Avenue Chaise Lounge with plentiful tufting and graceful curved shape is a great addition to any space. It features solid wood frame, firm foam cushioning and linen upholstery. Avenue Chaise Lounge has black turned wood front legs with decorative metal wheels and beautiful silver upholstery tack details.